← The Unfinished #StarWars: @TheCloneWars Stories, Yet Unreleased. 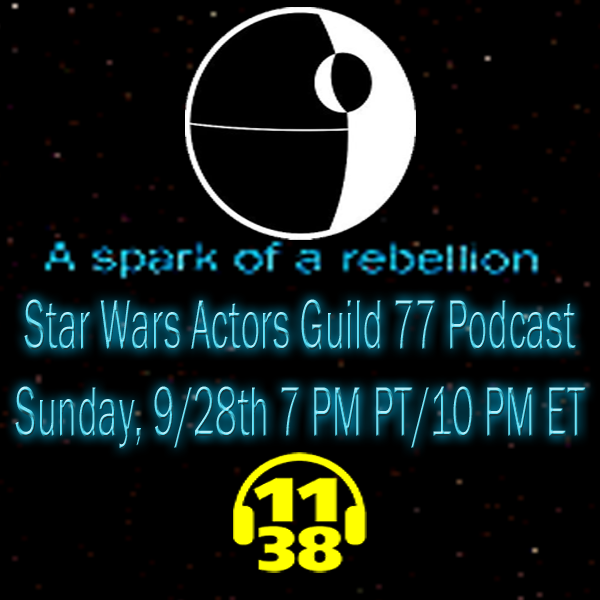 LISTEN to Dr.G- and Tony B. on the Star Wars Actors Guild 77 Podcast. This entry was posted in Characters, Podcasts77, Star Wars, Star Wars Pages, Star Wars Rebels, SWAG 77 Reads and tagged canon, Channel 1138, Podcast, Star Wars, Star Wars Rebels, SWAG 77 Podcast. Bookmark the permalink.